The facade of the Rhode Island State House. The National Register of Historic Places is a list of properties within the US that are worthy of preservation because of their significance to history, culture, and architecture of America. 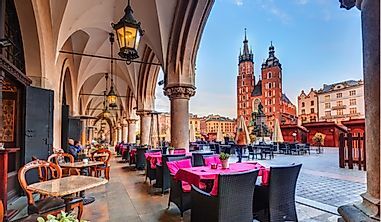 The NRHP recognizes resources and places of local, state, and national importance and then document and evaluate them according to the set uniform standards in a national register. The National Register is part of the program which coordinates and supports the identification efforts as provided for by the 1966 National Historic Preservation Act. 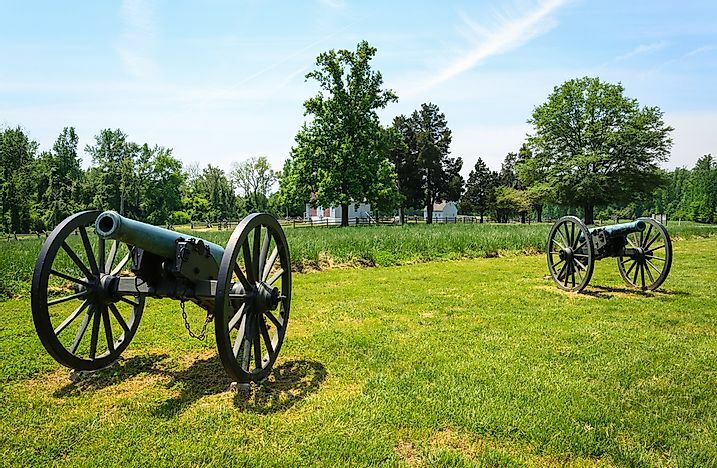 Richmond National Battlefield Park is home to the sites of the American Civil War located in Richmond, which was the base for the Confederation States of America for much of the Civil War. The park covers about 2,900 acres divided into 13 different sections in Richmond and the surrounding places covering the span of the war. The park focuses on the defensive fortifications surrounding Richmond and other military actions which defended the city during the war. The park also contains rivers and streams and over 0.6 square miles of wetland with most parts of the wetlands forested. Wheeling Suspension Bridge is a bridge spanning the main Ohio River channel. 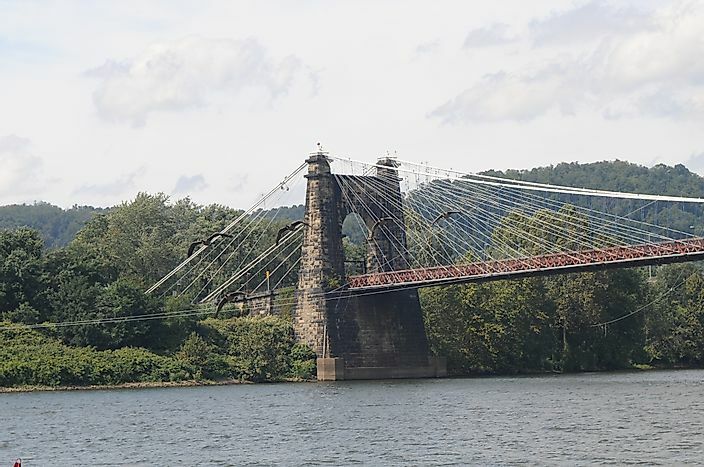 The suspension bridge, which is located within the Wheeling Island Historic District, was designated a National Historic Landmark in May 1975. It was the largest suspension bridge in the world until 1851 and the first to span the Ohio River. The Wheeling Suspension Bridge was a major link on the National Road and was designed by Charles Elliet Jr.
8. U.S. National Arboretum - Washington, D.C. 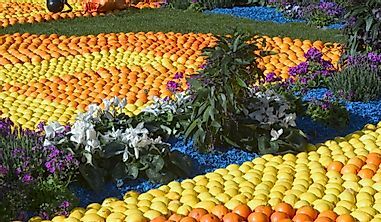 The US National Arboretum is located in Washington DC and is operated by the Department of Agricultural Research Service. The arboretum was created in 1927 by an Act of Congress through the USDA campaign. 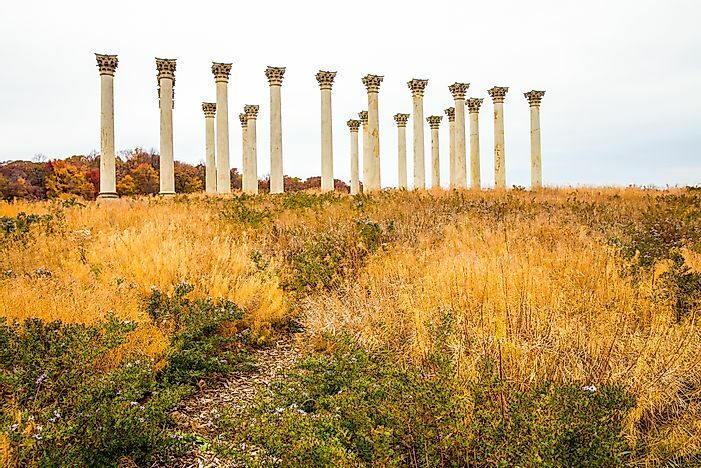 The U.S. National Arboretum covers an area of 0.7 square miles with the garden and collections connected by the nine-mile roadways. 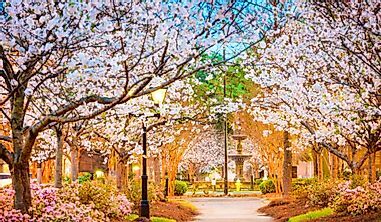 The arboretum is a major botanical research center with research on plants, flowers, shrubs, and turf conducted at the center. The library at the center has over 10,000 volumes of 100 publications. The Johnstown Inclined Plane is a funicular located in Johnstown, Pennsvlvania. 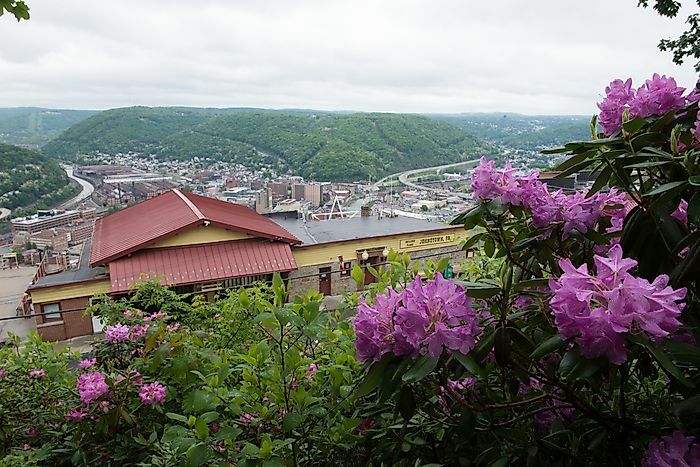 The inclined plane and the two stations connect the city of Johnstown to the borough of Westmont on Yoder Hill and are billed as the world’s steepest inclined plane capable of carrying automobiles. The travel between stations is only 90 seconds. The Johnstown Inclined Plane was constructed as an escape route for future floods after the 1889 catastrophic floods. 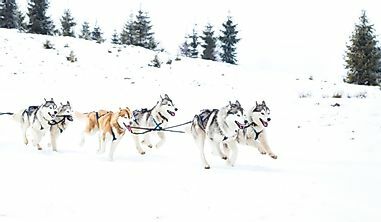 It also served as a convenient means of transport for the residents of the communities above the valley. The Johnstown Inclined Plane was used to evacuate people during the floods of 1936 and 1977. 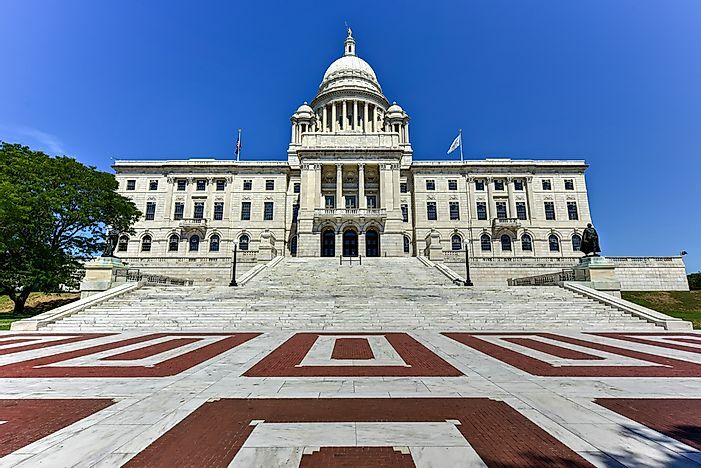 The Rhode Island State House is the capital of Rhode Island which is at the boundary of the Downtown and Smith Hill section. It is an old design building housing the Rhode Island General Assembly and governor’s office. 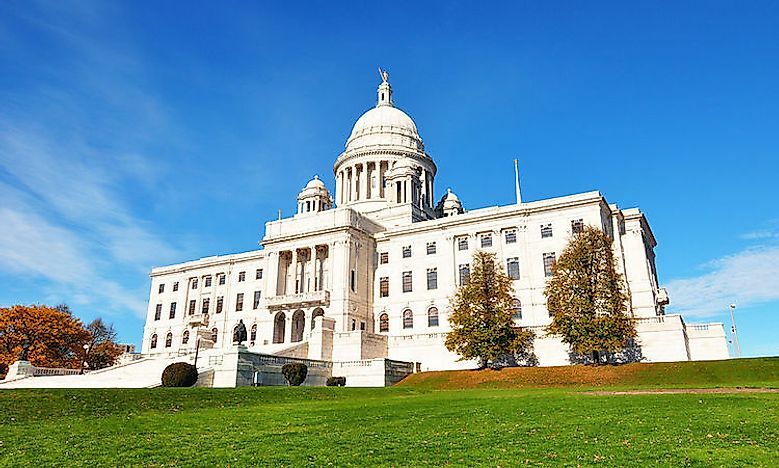 The dome of the Rhode Island State House is one of the largest marble domes worldwide which is self-supporting. The state house is made up of over 325,000 cubic feet of white Georgia marble, 1,300 tons of iron floor beam, and over 15 million bricks. The Rhode Island State House hosts an annual Christmas celebration which has become a tradition at the state house. The Old Deerfield Historic District was established to ensure the preservation of Deerfield and history of the Connecticut River Valley. 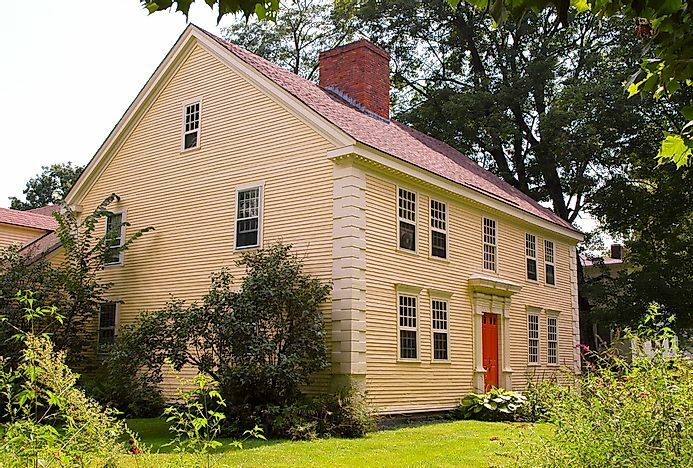 The historic houses and programs provide a unique semblance of New England’s historic villages. The Old Deerfield Historic District has 11 historic house museums and a modern museum. The museums offer exhibitions and family activities for visitors. Deerfield was one of the frontier villages in New England that was temporarily vacated during the King Philip’s War around mid 17th century. It was subjected to major raids during the Queen Anne’s War with several people taken to prison. Buffalo City Hall headquarters the Municipal Government in the city of Buffalo. The magnificent building was completed in 1931 and is among the tallest municipal buildings in the US at 378 feet. The building was constructed by John W Cowper Company at the cost of $6.8 million. It has 5,000 electrical outlets, 143 clock, and 37 fire alarms. 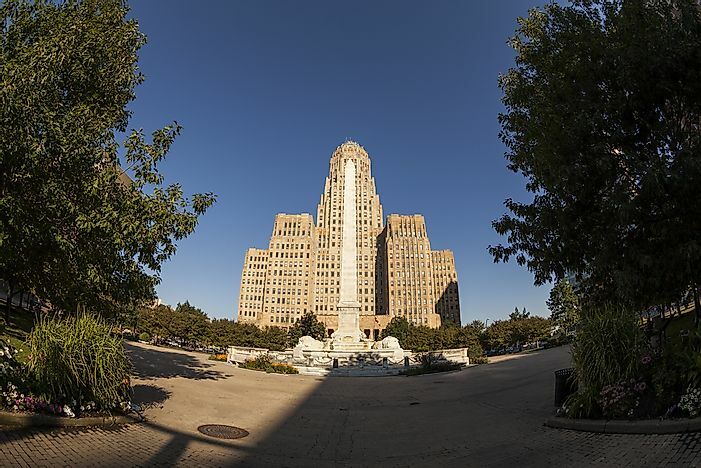 The Buffalo City Hall was listed on NRHP in 1999. 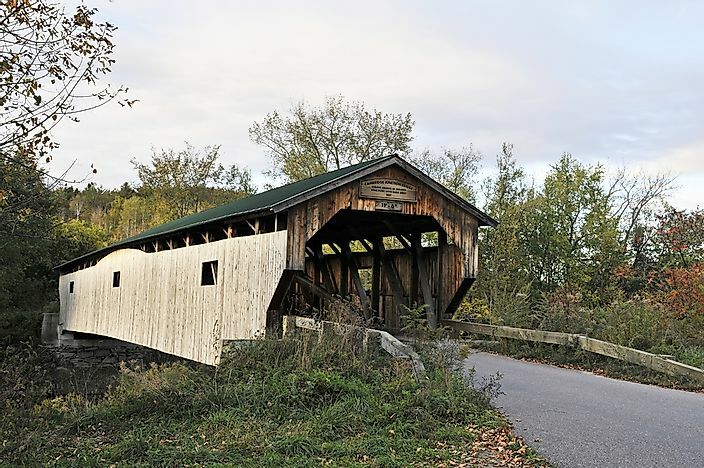 The Cambridge Junction Covered Bridge is a bridge across the Lamoille River. George Holmes built the bridge in 1887 in a Burr arch design. The village is 152.5 feet long and 19.5 feet wide supported by a flanking Burr trusses. The Cambridge Junction Covered Bridge has deteriorated over time causing the bridge to lean. The reconstruction of the bridge was by the Alpine Construction company was completed in 2014 with the reopening of the bridge taking place on July 4, 2014. The Mount Washington Hotel is a building in the Bretton Woods near Mount Washington. Charles Alling Gifford designed the hotel. The construction cost of the hotel is estimated at $1.7 million. 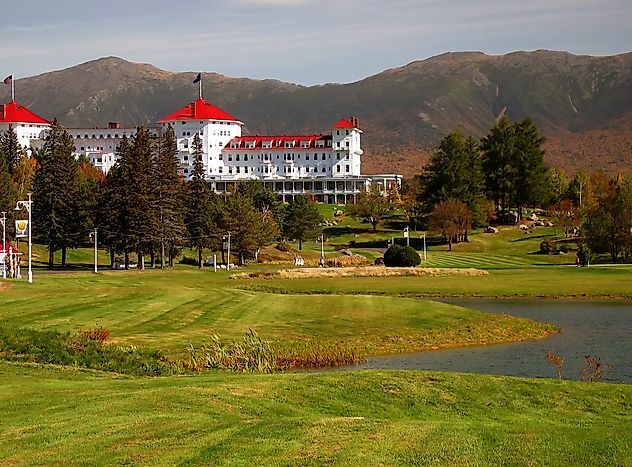 The hotel is one of the last surviving grand hotels in Mount Washington. 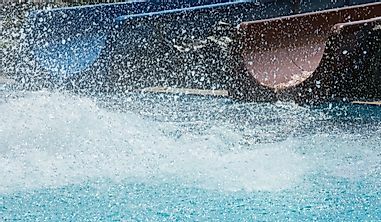 It was opened for the first winter in 1999, but before that, the hotel would close late in fall and open in the spring. An additional 50,000 square feet spa and conference center was completed in 2009. 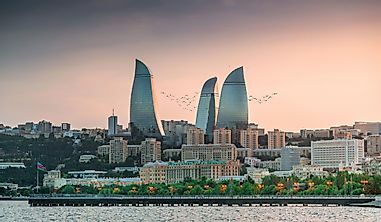 The hotel is known for grand fireworks for the Independence Day and the New Year’s Eve. The Portland Head Lighthouse is a light house located in Cape Elizabeth, Maine. The head light was fully established in 1791 making it the oldest in Maine. It is automated while the maintenance work is overseen by the US Coast Guards. The construction of the Portland Head Lighthouse began in 1787 with an overall cost of completing it estimated at $1,500. The station has not changed much apart from the reconstruction of the Whistle house in 1975 as a result of the damages caused by the storms. The head light stands at 80 feet above the ground. 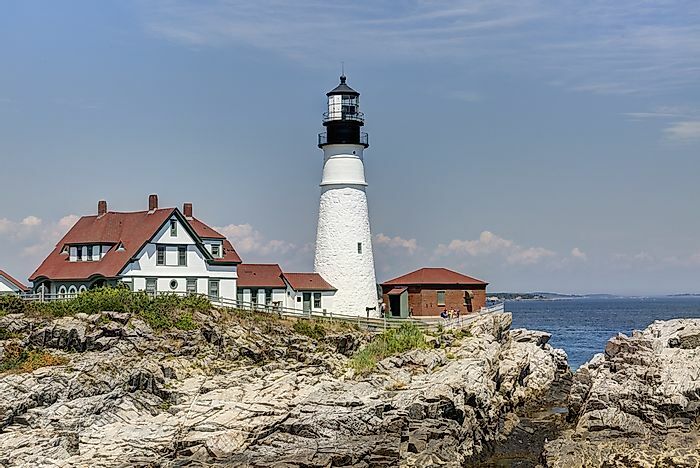 It was added to the NRHP in 1973 as Portland Head Light.